The passion of war has long inspired propagandists. Some have sought to influence public opinion for pecuniary or career reasons. Others have claimed loftier motives, like promoting human rights or addressing humanitarian emergencies. One of the most notable crusaders to emerge in recent times is Rakiya Omaar, the co-founder of the London-based rights group African Rights. She is also author, with British scholar Alex de Waal, of the defining book Death, Despair and Defiance—a colossal compendium of Hutu-on-Tutsi violence published just weeks after the Rwandan genocide ended. Observers eager to understand this three-month killing spree relied on their astonishing 750-page creed published in September 1994; it offered in real time a list of perpetrators and a sweeping narrative of how Hutu ideologues conceived years in advance their genocidal project against the Tutsi. African Rights, a new NGO from London, appeared to have set history in motion, and quickly so. Its impact on legal proceedings was substantial, at least initially. Death, Despair and Defiance was considered the bible by the UN’s International Criminal Tribunal for Rwanda (ICTR). But just how did Omaar and de Waal—neither of whom spoke Kinyarwanda or were versed in Rwandan history—produce such an authoritative, insider-driven opus on the mechanics of killing? How did they get access in so little time to a massive archive of witness testimony? With the help of the Rwandan Patriotic Front (RPF), of course. Luc Reydams specializes in international criminal law and justice and teaches politics at Notre Dame University in the United States. His groundbreaking research on African Rights, recently published, is both a feat in investigative journalism and academic scholarship. His article “NGO Justice: African Rights as Pseudo Prosecutor of the Rwandan Genocide” in Human Rights Quarterly deconstructs the NGO’s murky operations and methods. Reydams also provides compelling evidence that African Rights became a RPF front organization and its account of the genocide was produced with the “full and active support of the RPF.” The RPF, under Paul Kagame, won the war and has been in power since 1994. Not surprisingly, African Rights’ work, which provided a one-sided, sanitized version of the Rwandan genocide, did not stand the test of time. The work of Omaar and de Waal should have been discredited publicly long ago, but it wasn’t. And the impact of their research has been nothing short of devastating. Their book primed public opinion on the conflict and shaped the way the world saw the RPF as moral victors and Hutus as perpetrators. Their research has been absorbed and regurgitated uncritically by experts and human rights organizations. Human Rights Watch’s seminal account of the genocide, Leave None to Tell the Story was published in 1999 and became the subsequent bible at the ICTR. That book cites Death, Despair and Defiance a record 42 times. Most troubling is how the NGO has fueled RPF impunity over the years. 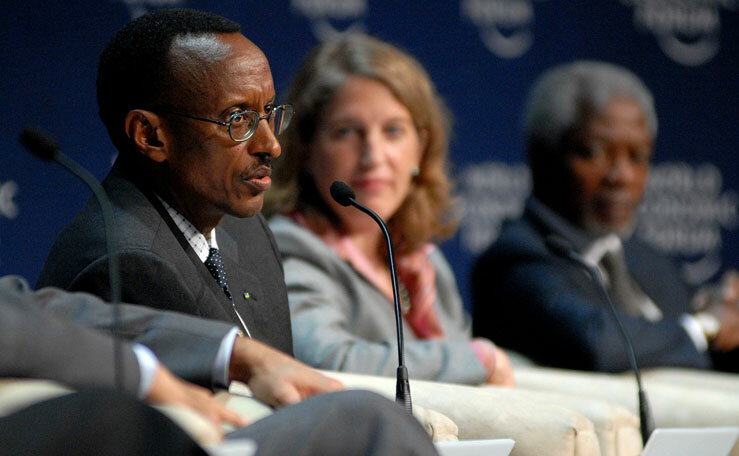 African Rights categorically denied RPF crimes, helped shield Paul Kagame’s government from prosecution, and even defended its war of aggression in Congo. In a separate interview I conducted, a Tutsi survivor who worked for African Rights on the NGO’s second edition of the book—published in 1995—told me he collected testimony from Hutu peasants on RPF killings. When he went to Omaar to discuss incorporating this research, he said she told him flatly: “now is not the time.” In later years when he was doing research for African Rights ahead of traditional Gacaca court proceedings, he emphasized the issue of Hutu accounts of RPF massacres. Again she told him to let it go. “Now is not the time,” she insisted. The Tutsi survivor was eventually threatened by the RPF’s chief intelligence enforcer Jack Nziza, and was forced to flee the country to escape death. At a minimum, Omar could come clean about what she may have observed in RPF zones where she traveled with RPF cadres in places such as Rusumo in May 1994. Aid workers reported that Kagame’s Tutsi forces called Hutu refugees to a ‘peace meeting’ in Rusumo then proceeded to tie up men, women and children before stabbing and killing them. The bodies were placed on trucks and eventually dumped in the Kagera River, according to a UN protection report released by Refugees International in mid-May. I can imagine that Omaar could fill another book on the secrets she has kept. “The dominant narratives in the media for the first part of April were tribal killing and chaos,” de Waal told Reydams. “Journalists and quite a number of aid workers were contributing to this. The point of the ‘Who is killing, who is dying’ report, and an article I wrote in the Times (‘Rwanda genocide took three [sic] years to plan’) was to remedy that. I also wrote a piece ‘The genocidal state’ for the Times Literary Supplement at the same time but they held on to it until July and only published it then (to my enormous frustration as it was the most serious piece.) It was quite an uphill struggle, and in order to do it, as you will see, I decided it was necessary to craft an alternative narrative. As Reydams points out, Theoneste Bagosora, the Hutu colonel who African Rights named as the architect of the Rwandan genocide, was acquitted of conspiracy and any direct role in the genocide by the ICTR, as were three other accused individuals who stood trial in the Military I case. “No one, for that matter, has been convicted of conspiracy before April 7, 1994. The genocide-as-conspiracy narrative, which African Rights helped to propagate, failed to convince the judges,” Reydams writes. De Waal’s dualist approach to conflict in the Great Lakes—one side was good and the other was evil—shamefully served to fuel the violence. We know how it ended of course. Kagame’s troops attacked the camps, sending hundreds of thousands of refugees further west into the Zairean jungle, where Tutsi soldiers eventually hunted them down, hacked and shot them, and buried them in mass graves. In 2010, the United Nations said the Rwandan Patriotic Front may have committed genocide against Hutus in Congo. De Waal’s mea culpa drew immediate praise from his legion of academic followers. However his words rang hollow to many. His confession was too little, too late for Kagame’s victims in Rwanda and Congo, whose suffering over the course of 22 years has been incalculable.